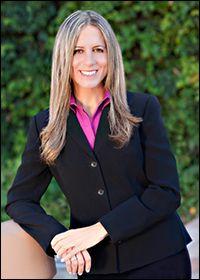 Dr. Natcher received her Bachelor of Science Degree from Northern Arizona University. She graduated with her Doctor of Podiatric Medicine degree from the California College of Podiatric Medicine in San Francisco, Ca. She completed a three year surgical residency program in Plantation, Florida in 2005. Dr. Natcher is Board Certified by the Board of Podiatric Medicine. She enjoys all aspects of Podiatric Medicine, with a special interest in Sports Medicine, Diabetic foot care, and forefoot surgery. In her spare time, Dr. Natcher enjoys cycling outdoors, spinning, jogging, and hiking. She has completed several 100 mile bike tours, marathons, and half marathons. As an athlete, she is sensitive to the injuries and stresses that the feet endure, and the importance of having healthy feet in order to enjoy life to the fullest. She also enjoys being creative with several inventions in the work. Dr. Natcher's most recent community involvement includes providing foot massages to Hospice of the Valley patients and collecting women's shoes in her office for Fresh Start Women's foundation.